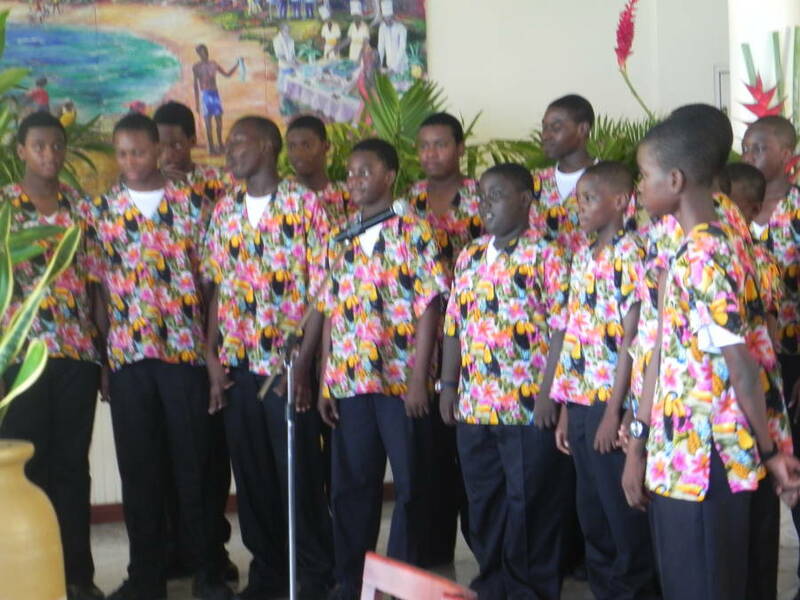 The Presentation Brothers’ College (PBC) School Choir will form part of the delegation representing Grenada at the 2013 CARIFESTA in Suriname from 15–25 August 2013. While performing at a regional seminar which was held in Grenada last year, the all boys choir ‘warmed the heart’ of a CARICOM Official who upon her return, ensured that the boys were specially invited by the CARICOM Secretariat to participate in the youth component of this year’s CARIFESTA. Since then, PBC has been working along with the Ministry of Culture to ensure that the group forms part of the Grenada delegation. PBC is very excited about this opportunity and is doing everything within its realm to make it a reality for the School and for the boys, especially since they will be the only boys’ choir, of the three choirs that have registered for CARIFESTA this year. They see this opportunity, not only as a means of exposure and expanding the experience and cultural knowledge of the boys, but also as a means of promoting Grenada and a positive message for youths, which is one of the main focuses of the Choir. In this regard and in an attempt to assist the Government in defraying some of the costs of the trip, the Choir will be staging a Concert, “MELANGE” ( a mixture of intoxicating music) featuring their CAFIFESTA repertoire, this Saturday, 27 July at the Grenada Trade Centre at 7:00 pm. It is an opportunity for all Grenadians, to not only support this worthy cause, but to share in the rare experience of the quality sound of an all boy’s choir, ages ranging from 11–18 years. The PBC Choir officially started in 2006. They have performed locally in Festival of the Arts, Independence Celebrations, other local festivals, school concerts, church concerts, local and regional ceremonies and the like. Over the years, the Choir has grown and continues to charm the hearts of many with their messages of peace, love, unity, togetherness and Godliness, in song. Apart from developing voices and harnessing the talents of young musicians, the Choir has become a source of inspiration for the boys. In the process of delivering excellent performances the choir members have developed some desirable qualities and characteristics which are also preparing them to take their rightful place in society. Some of these include commitment, improved concentration, discipline, respect, team work and confidence. The boys are all highly motivated since they have seen the rewards of commitment, discipline and hard work. Today the Choir stands at 45 boys and it is continuously attracting new members. In general the Choir is having a very positive impact on the Grenadian society and culture, especially in changing the perception that singing in choir is for females.